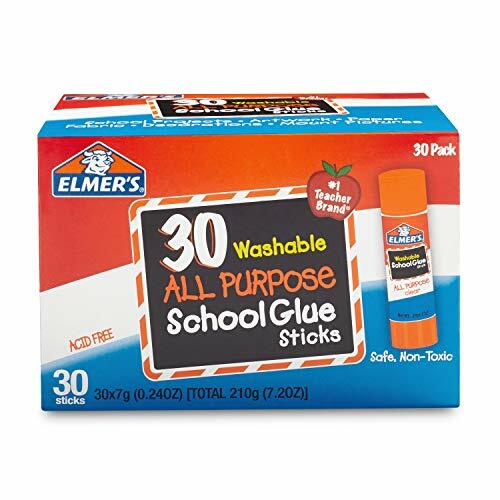 Assemble school projects, crafts, decorations, and more with the non-toxic adhesive of Elmer's Disappearing Purple School Glue Sticks. 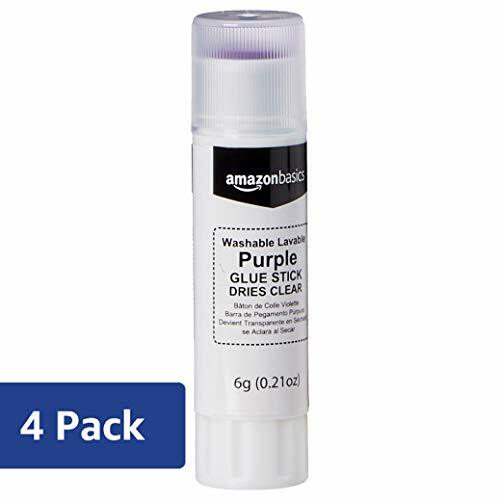 Specially formulated to be easy to use and clean up, this glue is purple when first applied so it's easy to see, then it dries clear for great results. 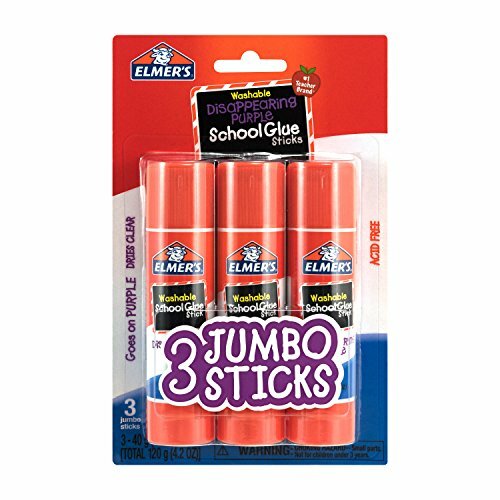 Elmer's Disappearing Purple School Glue Sticks are washable and non-toxic for fun and easy crafting. Effortlessly stick, lift and reposition all your charts, photos and lettering with elmer s repositionable school glue sticks. 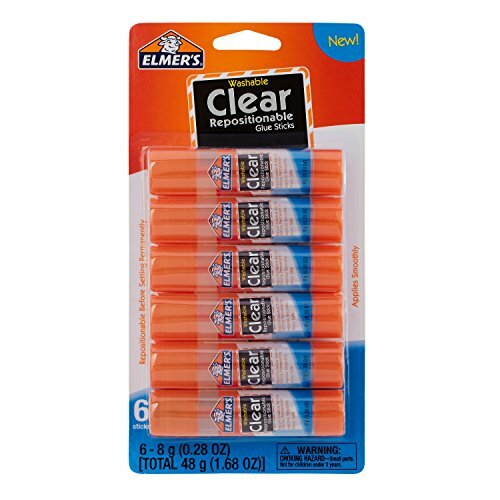 Applying smoothly and drying clear, the glue stick makes it easy to stick, then Re-stick before it Permanently sets. Add on its washable, non-toxic, photo-safe formula and you can see why it s the ideal adhesive for classrooms, homes and kids just learning how to glue. Purple on contact yet drying clear, elmer s Disappearing Purple school glue sticks help you see exactly where you re sticking your charts, pictures and more! 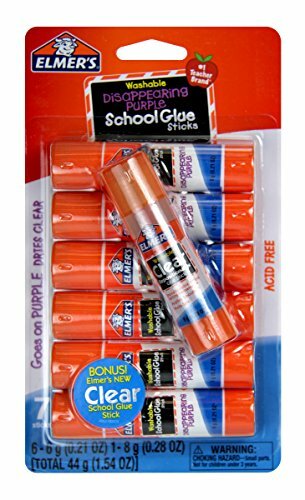 the glue stick applies smoothly with a Disappearing Purple formula, making it perfect for kids just learning how to glue. Add on its non-toxic, acid-free formula and you can see why it s the ideal adhesive for classrooms, homes and youngsters. Purple on contact yet drying clear, Elmer's Disappearing Purple school jumbo glue sticks help you see exactly where you re sticking your charts, pictures and more! 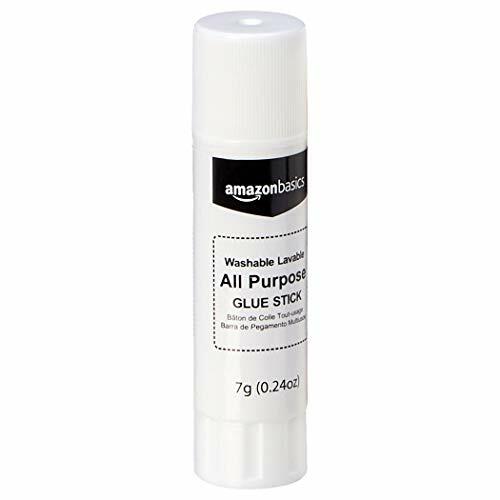 the glue stick applies smoothly with a Disappearing Purple formula, making it perfect for kids just learning how to glue. Add on its non-toxic, acid-free formula and you can see why it s the ideal adhesive for classrooms, homes and youngsters. 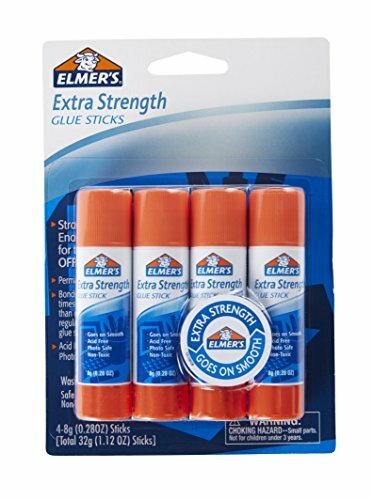 Ideal for tasks around the home and office like applying labels, sealing envelopes, and mounting pictures or charts on presentation boards, Elmer's Extra Strength Glue Sticks go on smoothly and provide no-mess bonding. These glue sticks bond two times faster than Elmer s regular Glue Sticks for quick, responsive results. Featuring a washable, nontoxic, acid-free, and photo-safe formula, Elmer's Extra Strength Glue Sticks work well on a variety of paper types including cardboard, foam board, display board, and computer paper. 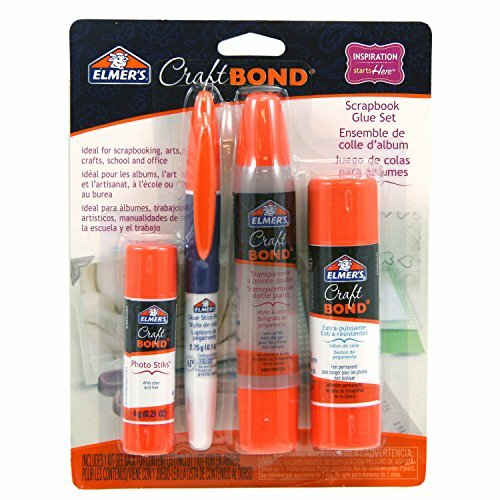 Elmer's CraftBond Scrapbook Glue Set features everything you need to create strong bonds for paper crafts, scrapbooks, cards, and more. 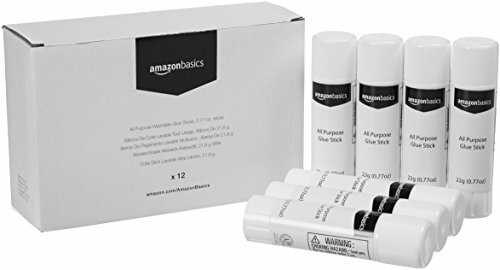 This set includes an Extra Strength Glue Stick, a Glue Stick Pen, a Clear Dual Tip Glue Pen, and a Photo Stiks glue stick--giving you the right glue for virtually any project. Specially formulated to be easy to use on porous surfaces, the craft glues all provide a permanent bond that holds things securely in place. The nontoxic glues apply smoothly and dry clear for professional-looking results. Specially formulated to be easy to use and clean up, this glue is purple when first applied so its easy to see, then it dries clear for great results. 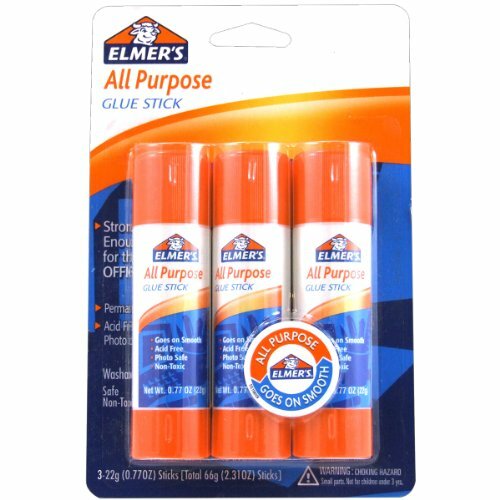 Permanently bond items to paper, cardboard, foam board, display board, and more with Elmer's All Purpose Glue Sticks. 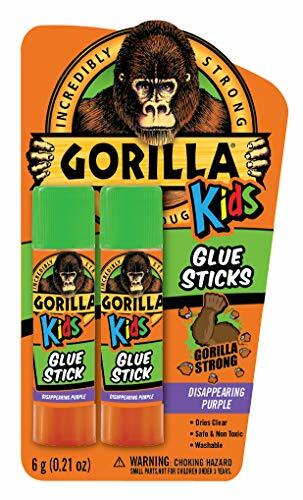 These glue sticks are specially formulated to be easy to use and clean up. 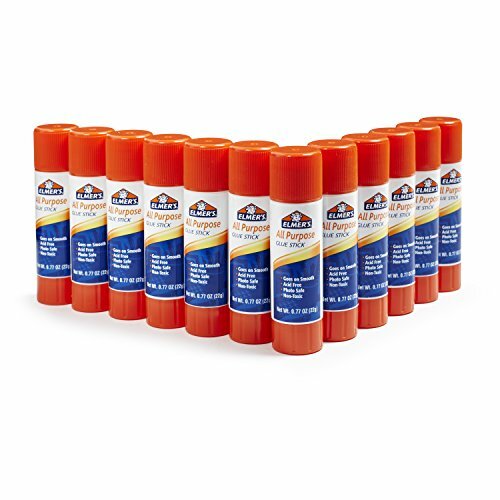 Elmer's All Purpose Glue Sticks are perfect for arts, crafts, and school projects. They apply smoothly and dry quickly, giving you reliable results with every use. The glue is washable, acid-free, photo safe, and non-toxic. 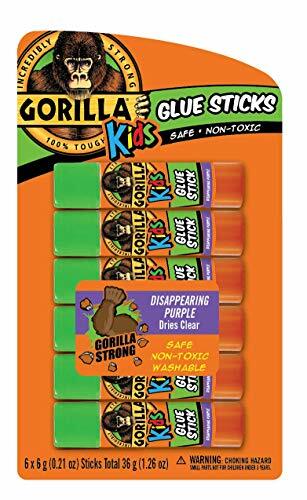 Gorilla Kids Disappearing Purple Glue sticks go on purple and dry clear creating a clean, tough bond. 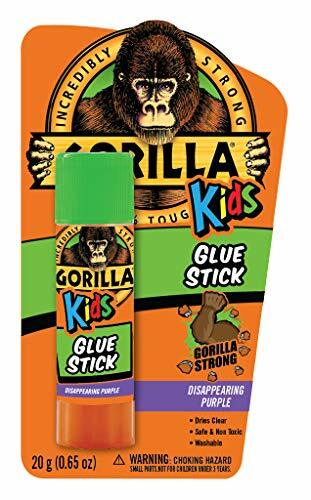 Gorilla Kids Glue Sticks are non toxic and washable, which make them ideal for kids projects! 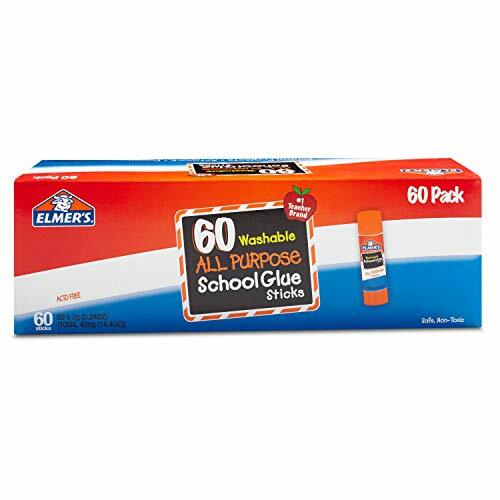 Permanently bond items to paper, cardboard, foam board, display board, and more with Elmers All Purpose School Glue Sticks. 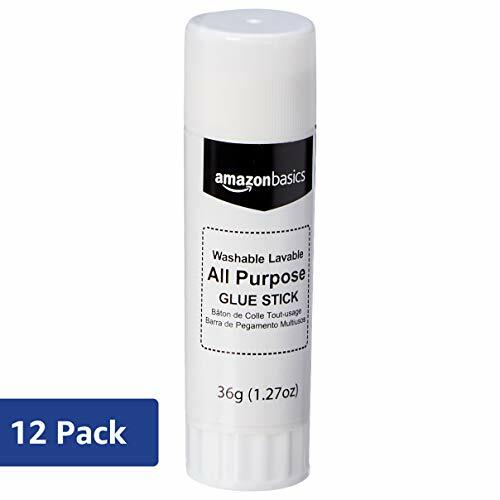 The choice for teachers everywhere, these glue sticks are specially formulated to be easy to use and clean up. 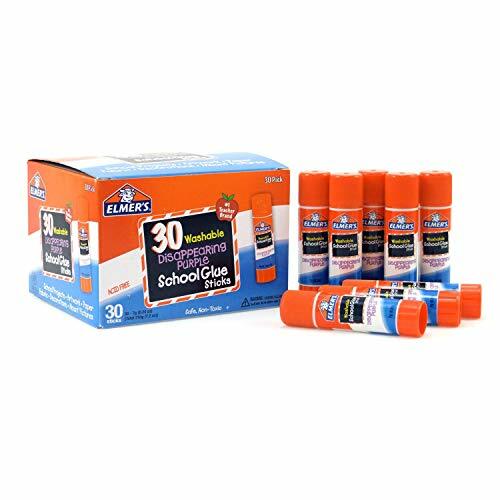 Elmers All Purpose Glue Sticks are perfect for arts, crafts, and school projects. They apply smoothly and dry quickly, giving you reliable results with every use. The glue is washable, acid-free, photo safe, and non-toxic. Ranyi 360 Full Body 3 Piece Cover, Slim & Thin Fit Tightly. 3 in 1 design , Easy snap on/off installation, Stylish and practical. Shock-proof and Drop-proof, protects your phone against any scratch, bump, finger marks, and dirt. Compatible with Samsung Galaxy S7 5.1" (2016). 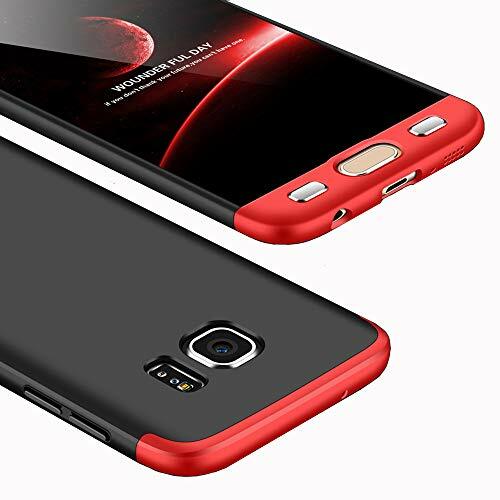 360 Degree full body 3 piece cover, slim & thin fit tightly. All ports, buttons and speakers have precision cut -outs for easy access.